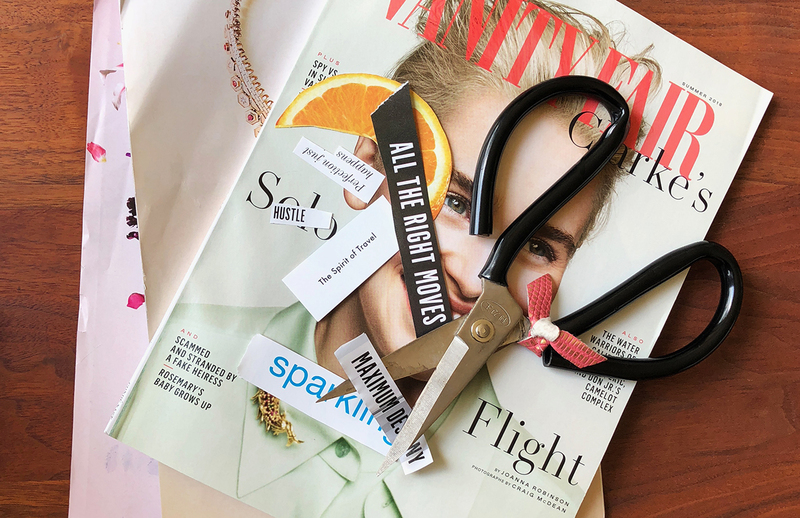 Feeling adrift my friend and I planned a girl’s night…to build vision boards. After a stop at Target for supplies, we ordered Postmates and got to work cutting, pasting and dying laughing; but as the evening progressed I began to lean into the exquisite cheesiness of combing magazines for pictures and words that reflect my aspirations. You know I LOVE a mood board so it was delicious to focus on a positive future, limitless goals, and setting my intentions, so why did stating (or in this case pinning) my desires feel greedy and uncomfortable? It was an impulse I had to push against, again and again- has my real life trained me to aim a little lower and want a little less? As young people, when we dreamt about adulting we didn’t let our aspirations get tangled up in the realities of mortgages and commitments, yet here I was tamping down each desire before I even cut it out. 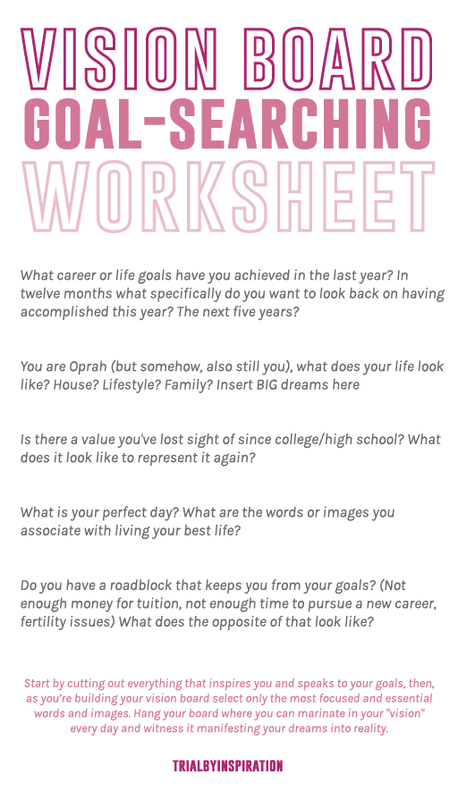 I began to realize that creating a vision board is an exercise in nurturing your ambitions, revisiting why you are on the path you’re on and where you’re going. Can it also help manifest your desired destination? I’m going with yes (because my positivity has been revitalized, ideally for more than a week). 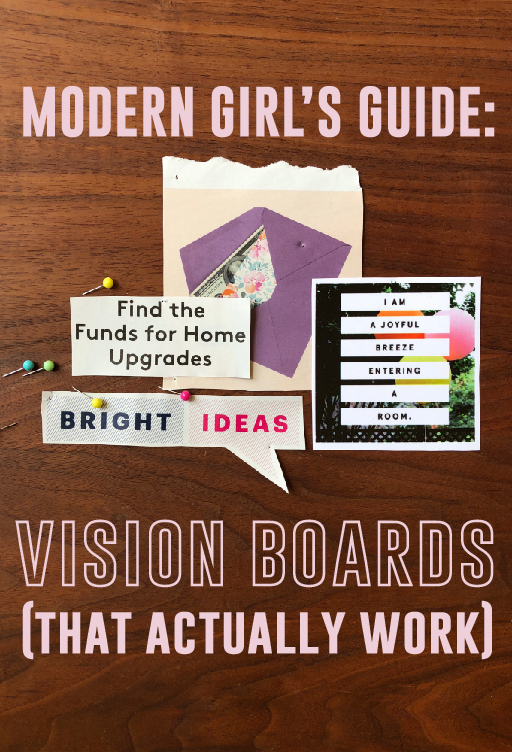 Read on for my modern vision board guide, to help you embrace your huge, unspoken, audacious vision for what your life could be.